LinkedIn is one of the most popular professional media group that connects you to professionals from different areas of expertise. However, there are times when you try to look up for a profile but fail to access it due to the level of membership you owe on LinkedIn. Well, the hack to access such information lies beneath the Google Search Engine. You may use Google to search for the desired profile instead of LinkedIn. There is a high possibility that you would get the result on Google. For example, instead of searching for brand manager who has worked in Texas on LinkedIn, search the same on Google. Share for Share or Shoutout for Shoutout is one of the most used tricks on social media. It is more of a promise to share your content against getting your own content shared by other people. It is the most beneficial way to get your content shared without spending a penny. You just have to form a mutually beneficial partnership and promote each other’s content. When you’re connected to a page, especially political, you may have come across the “words” intended to attack specific person or group. Sometimes, these words may take disastrous face and lead to page block on Facebook. However, if you know the trick to block the posts and comments containing specific words, you can help reduce inflammatory fan posts or comments on FB. If you have been getting troll comments on Facebook, deleting them isn’t a recommended way. When you delete a troll comment, get ready to face some more. You’re actually increasing the load of work by deleting such comments. Well, if you know the trick to make the comment disappear without pushing him even more, it works amazingly well. To do this, just click on the ‘x’ and hide the comment. Hiding the troll comment would be visible over the commenter’s end and his followers but it won’t’ be visible on your page to your followers. When you have to post the same image over different platforms, it appears that it takes a lot of time and efforts. If you’re writing an article that requires a landscape image, you need to make a square one to post it on Instagram. However, if you’ve heard about Canva, you ain’t wasting any more time on optimizing your images. You can choose from 50 image types and platforms you’re going to use the image on. That’s it. 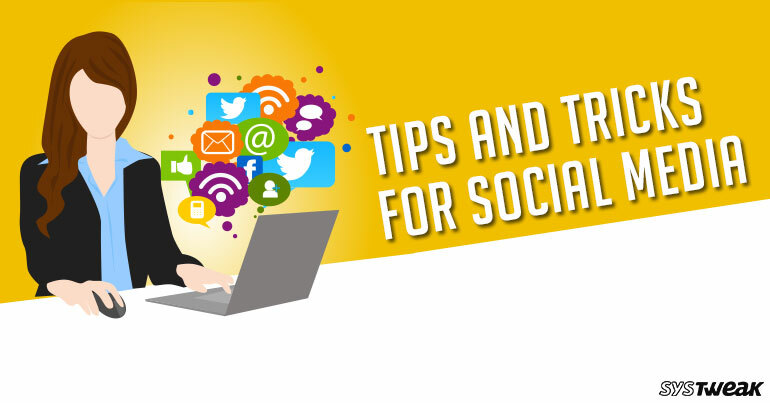 Overall, there are various undiscovered ways to make your social media experience great. These tips and tricks are used by professionals or tech savvy people, which you can use too. The techniques discussed above are tested and verified to be okay and safe to use. So, if you’re trying to get your head around it, this is the time.